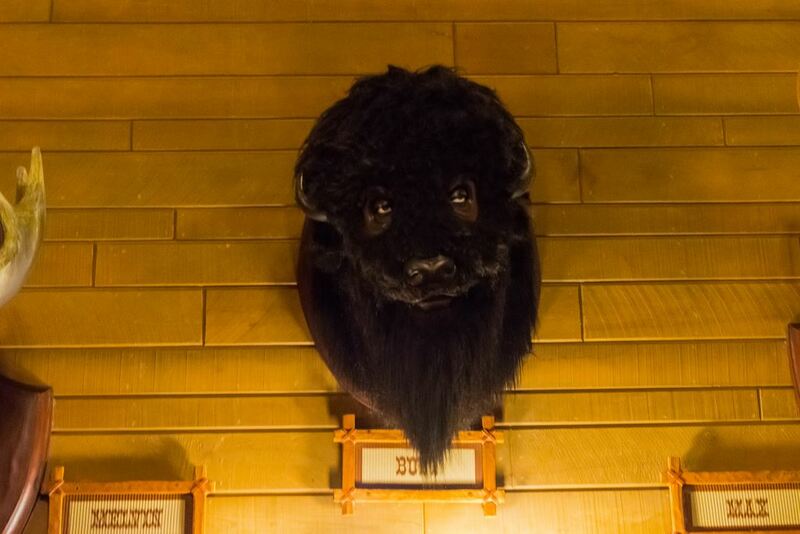 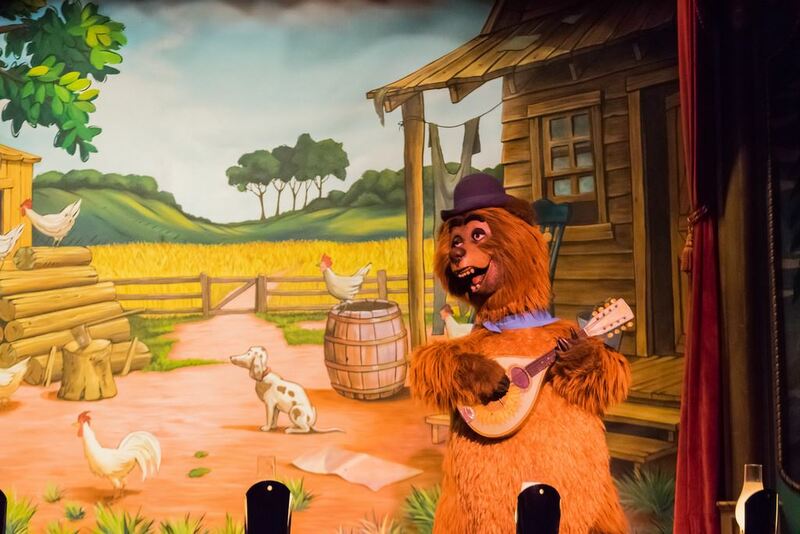 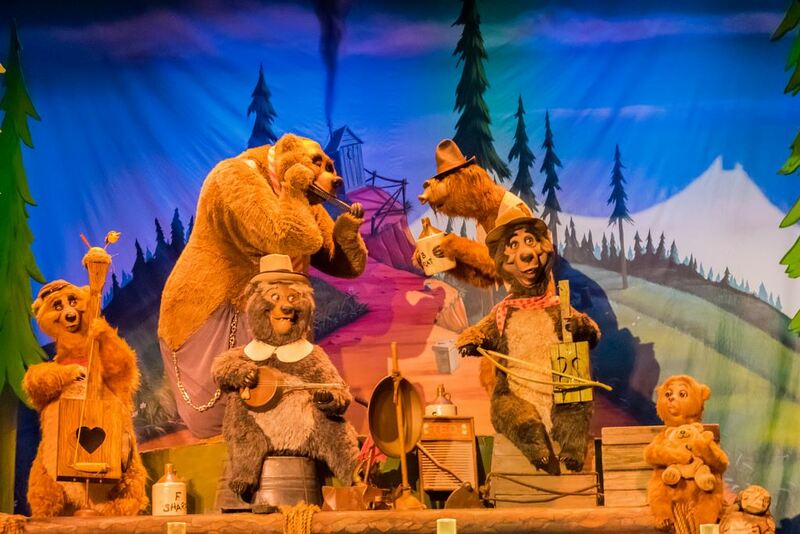 A charming cast of audioanimatronic bears sing and stomp in a Western-style hoedown. 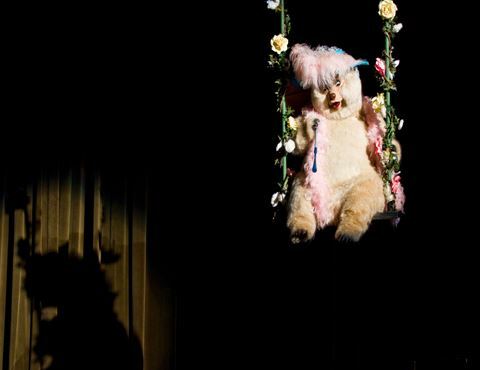 Editing has cut a few minutes from the original show, quickening its pace somewhat, and it remains and air conditioned refuge on hot days. 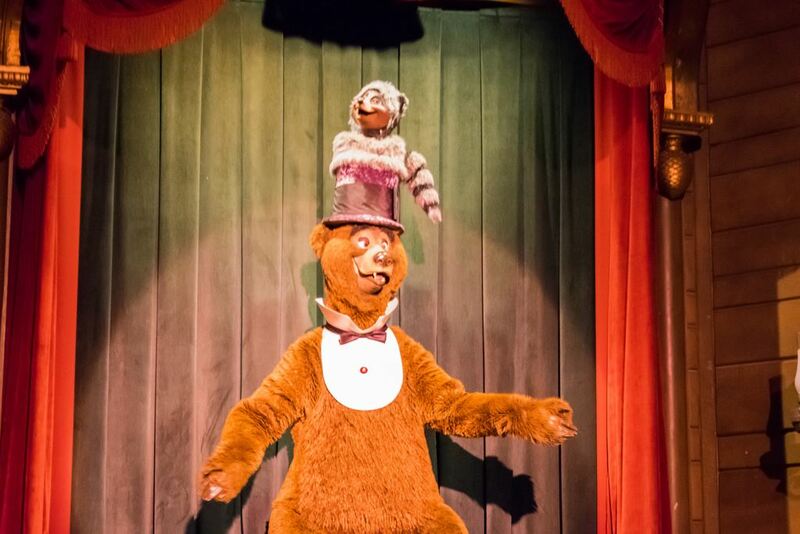 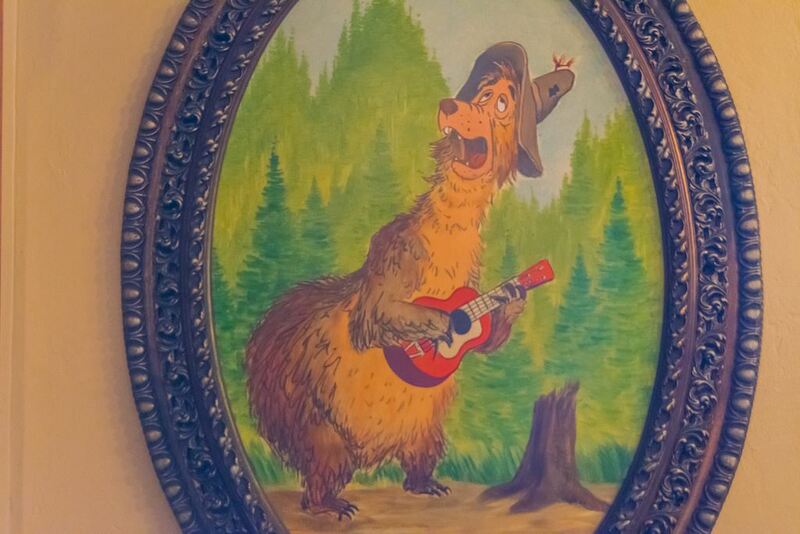 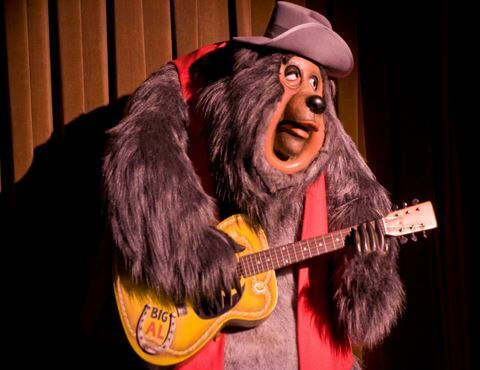 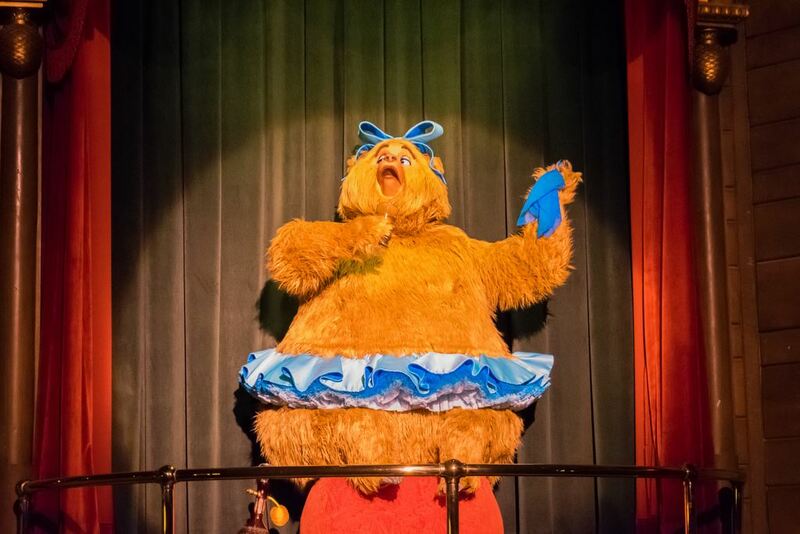 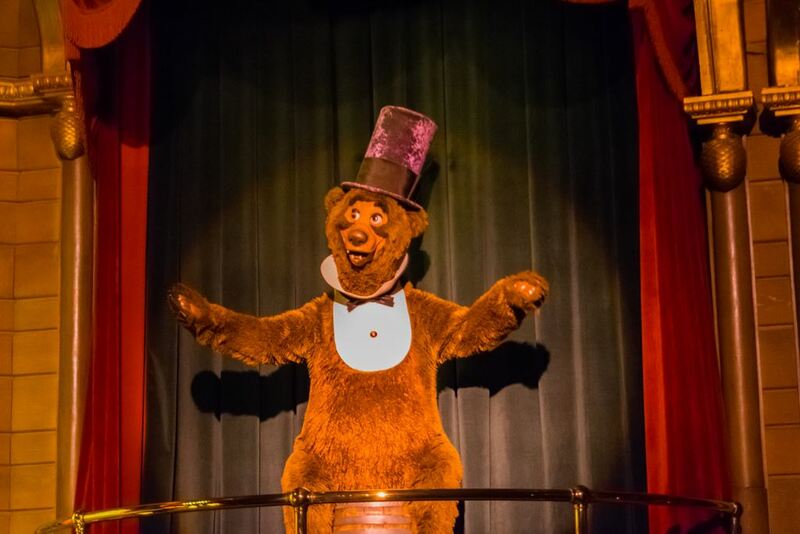 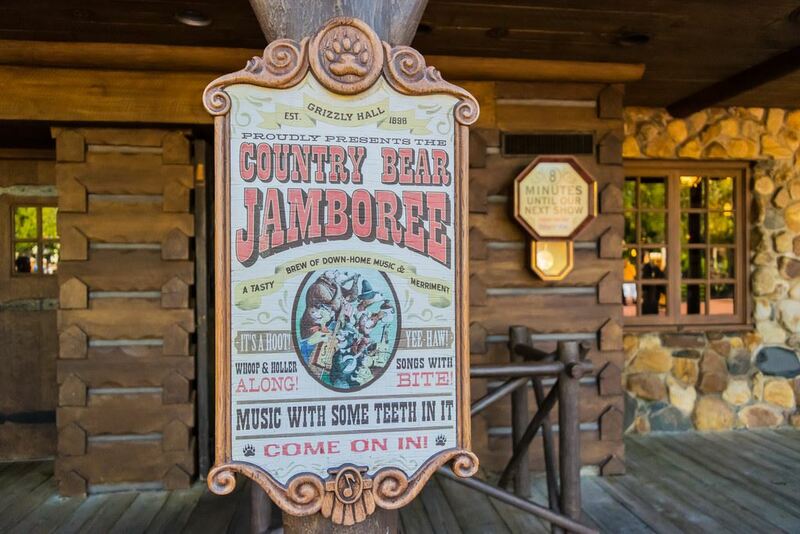 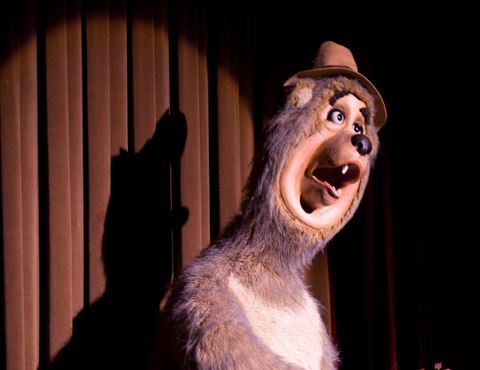 However, most songs remain the same, and the Country Bear Jamboree has run for so long that the geriatric bears are a step away from assisted living. 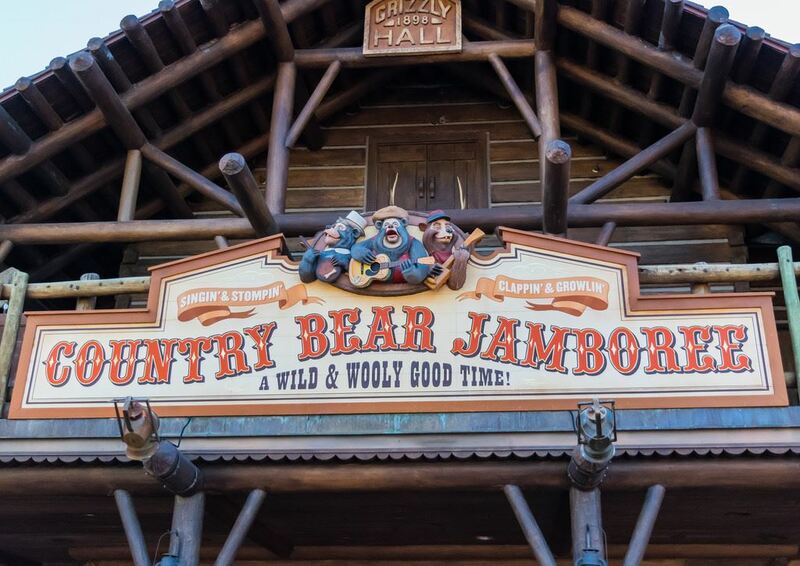 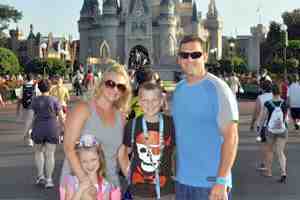 On hot or rainy days and during peak seasons, the Jamboree draws larger crowds from midmorning on.